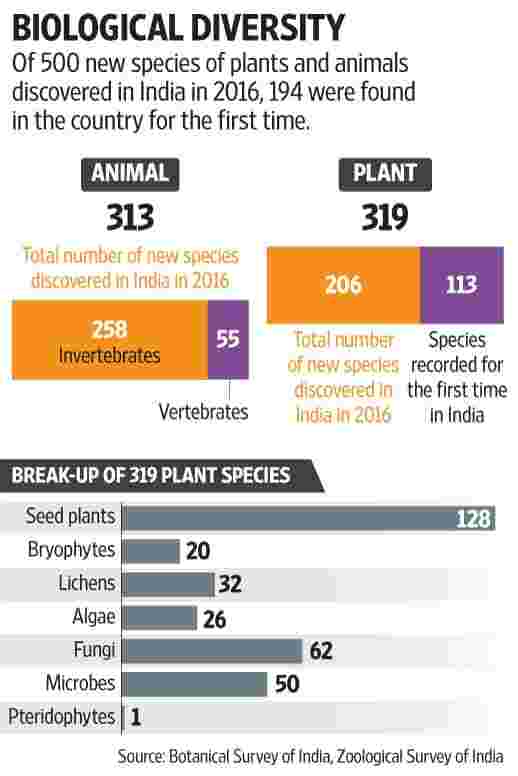 New Delhi: Over 500 new species of plants and animals were discovered in India in 2016, in addition to 194 found in the country for the first time, according to the environment ministry. “Exploration of our natural heritage always reveals amazing insights into plant and animal life which have not only been useful to plant taxonomists but also to many policy makers. Discoveries of plants improves our understandings of special requirements and ecosystem functioning," said environment minister Harsh Vardhan. He hoped that the discoveries will help in the understanding of biodiversity and creating awareness. India is rich in biological diversity — with only about 2.4% of world’s total land surface it is home to over 6.4% of the species of animals, comprising 100,693 species. It is estimated that about twice that number of species still remains undiscovered in India. The plant discoveries were recorded by the Botanical Survey of India while the animal discoveries were recorded by the Zoological Survey of India.